Where have all the flowers gone? Analyzing Some Stockton "Deals"
ForumsArrowStockton Real Estate ForumArrowWhere have all the flowers gone? Analyzing Some Stockton "Deals"
In my previous post I made some bold general statements regarding how hard it has been getting to find an even halfway decent deal on the MLS in Stockton, CA. 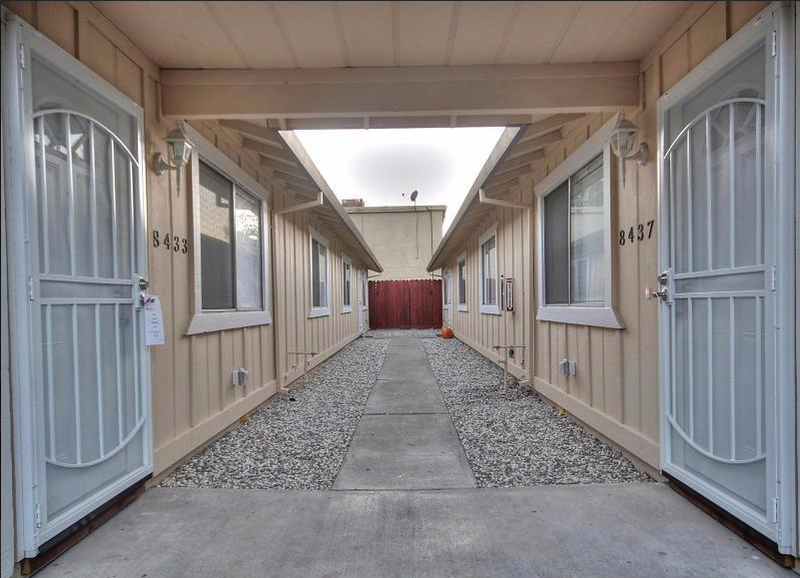 As a sort of “follow up” I thought I could provide some infotainment to my fellow BPers by backing up my bold claims by analyzing a few specific Stockton Multifamily properties. While doing so I’ll provide my colorful opinions on the different types of properties that can be found on Stockton’s MLS. Since I am very “wordy” I will do that in separate posts, this one being the first. Let me start off by saying that I cherry-picked the properties for my Stockton “Analyses” (read “opinion”) series, in order to make certain not-so subtle points about the Stockton market and the different types of properties you might find there. Let’s meet our first contestant: The Turn-Key Fourplex! Holy SH*T! For years I have been telling everyone who wanted to listen that my own rehabbed rentals were the Hilton’s of Stockton! This is true; I pride(?) myself on rehabbing better than the market has any use for. But when I saw this property appear on the listings a few months ago I knew the Ritz Carlton had come to town! While driving other addresses I put this one on my list for fun. I just had to go marvel at its splendor. To park my car in from of it’s gilded doors and feast my eyes upon its freshly painted countenance. Possibly while eating a burrito. While only wanted to included two pictures let me tell you, the outside of this property is as well done as the inside. The parking lot is refinished, everything is freshly painted, good looking roof, everything nice, nice oh so nice! Even, and I could not make this up if I tried; the trash bins were stylishly fenced in in latticed enclosures! All kidding aside; I think I have not seen any multiplex property in Stockton that had been rehabbed this N*I*C*E*! Figure1: Welcome to the Stockton Ritz-Carlton! Now I think I already let slip that this beautiful turnkey property sat of the market for many months. After which it got pulled from the market only to be relisted. After which it sat long enough to acquire a fresh batch of pressure sores. Why you ask? Wouldn’t this be a great property for a beginning investor? With all the work already having been done and everything? Since this is supposed to be an analysis why don’t we compare this San Diego Price with the Stockton rents which are currently, according to the listing, $850*4 = $3,400. I am sure everyone remembers the 1% rule? This deal would be a 0.68% rule! You never heard of the 0.68% rule? Me neither, and for good reasonJ. And what makes things worse; except for the very high quality of the rehab, (mainly the inside) the property itself is non-remarkable to non-conforming. Also, it has very little parking. Figure 2: Nothing to see here, move along. Non-Remarkable. Next: it is situated on Kelly Drive. Kelly Drive! While in all fairness, Kelly Drive actually has some pockets that are not really god-awful, just the name “Kelly Drive” sends semi-informed out of town investors running for the nearest boutique coffee shop to calm down and gather their courage over a white chocolate sprinkled Frappuccino. After using the hipster décor restroom that is. Bottom line, the location is so-so at best. Which is bad news for a property as tricked out as this one. But I digress. Basically our analyses shows that from an investors point of view there are two things majorly wrong with this property. 1.) The price itself. I refuse to even do full analyses on this but just point out that at 100% financed just your PITI *alone* would be around $3,200. To account for opportunity cost I feel you should analyze at 100% financed but if you have 25% ($125,000!) stashed in your mattress that you were dying to sink into this you would still be out $2,600 every month in PITI alone! Even if you pay down 25%, only about 20% of gross rent remains for management, maintenance, vacancy and CapX before this property will actually cost you money each month. The "good" news is you would never have to worry about paying taxesJ. 2.) The value add has already been (over) done and the area simply does not support higher rents. There is no real way you can raise the value of this property. You cannot even force a value increase by raising the rent because that will scare off the tenants that do want to live on Kelly Drive. 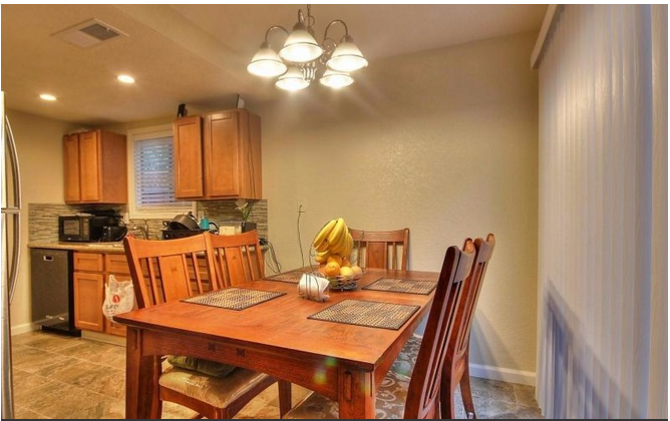 Hey @Chris V. , I had to do a second take....I couldn't believe those photos of that nicely rehabbed property were from a fourplex on Kelley Dr. Talk about over-rehabbing for the area. And I agree with you, even at $499k it's still overpriced. Hey @Chris V., I had to do a second take....I couldn't believe those photos of that nicely rehabbed property were from a fourplex on Kelley Dr. Talk about over-rehabbing for the area. And I agree with you, even at $499k it's still overpriced. I'll try and post a few other Stockton CA analysis' over the next few days. I had a lot of new investors asking how do you like this or that property and why, and instead of PMing I thought I'd just put it out here so more people can benefit from it. As for myself, I think I owe it to myself to at least educate myself on out of state investing... Then if I don't do it it is at least a real decision. A few years ago I showed one 15 year old triplex. They all had 3 br 2 bath condition is very good. My so called cash investor looked at it and left. Are you thinking about making an offer? The whole day we looked at many. This triplex was asking $150K. As a realtor I should have purchased it.